Australia's conservative Prime Minister Tony Abbott has reinstated Knights and Dames as Australia honours for people who make exceptional contributions to the country's public life. It is part of a raft of "initiatives" designed to roll back progress to a time when racist language in public life went unchecked, when nobody had heard of climate change, when women did not hold ministerial posts (only one does in Abbott's government) and when financial advisers giving advice that was designed primarily to boost their own kickbacks was just part of the game. Not since 1983 has anybody in Australia been anointed a Knight or Dame. On the assumption that the early months of the Abbott government are programmatic for its future plans, it should be possible to predict its legislative program for the coming years, not by reading the proverbial tea leaves, but by looking back through the history books. In 1983 Alan Bond's yacht Australia II won the America's Cup. Bond went on to spend four years in jail for fraud. Nicole Kidman made her film debut in 1983, in a kids film called BMX Bandits. Back then, home-grown music could still top the pop charts. The biggest selling single of 1983 was Australiana by Austen Tayshus. The final episode of US TV series M*A*S*H flashed across our screens in that same fateful year. But perhaps the most important innovation of 1983 was the debut of Microsoft Word, the word processing software that would go on to revolutionise writing around the world. The fact that Margaret Thatcher was re-elected to power in 1983 will no doubt make Mr. Abbott think he is on a lucky year for arch conservatives. 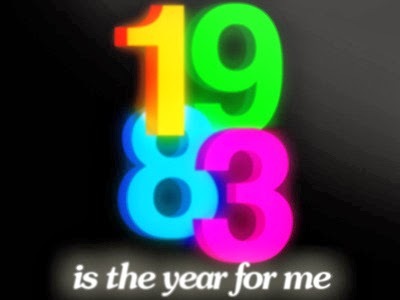 But one last event in 1983 may give Tony Abbott pause for thought in his nostalgic drive to resurrect the past. In 1983 the conservative government of Malcolm Fraser was granted a double dissolution election and lost it to the Labor Party of Bob Hawke. Minister for or Against the Arts?